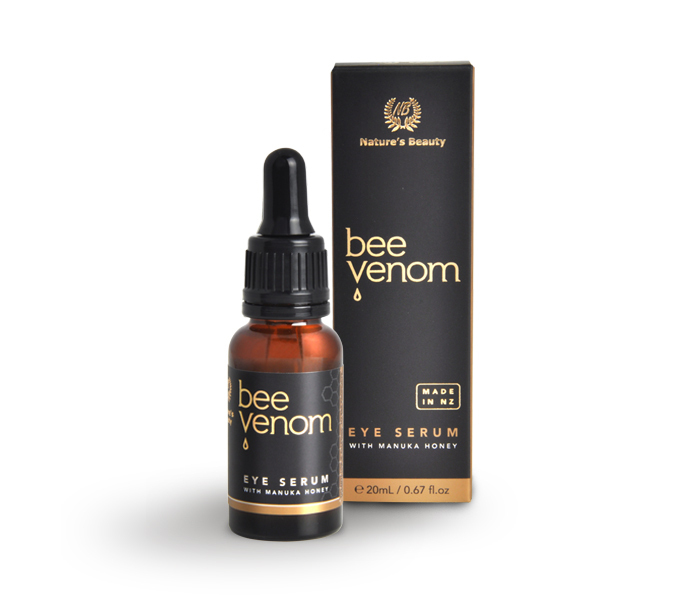 Nature’s Beauty Bee Venom Eye Serum is a natural anti-ageing eye serum tailored specifically for the delicate skin around the eyes. Formulated with New Zealand Bee Venom, Argireline and Easyliance, it provides natural Botox-like results to plump and smooth out fine lines around the eye area for a more rejuvenated appearance. 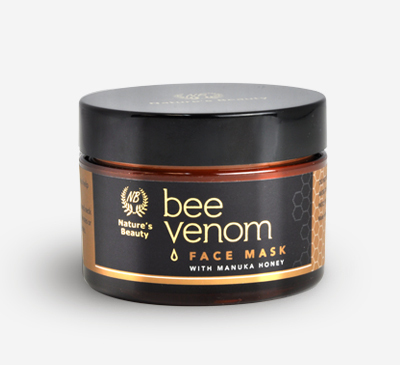 Bee venom works to enhance blood circulation under the skin, stimulating the natural production of collagen and elastin. Argireline prevents the formation of expression wrinkles by inhibiting muscle movement, so when you smile or frown your facial muscles are less likely to create wrinkle lines. And Easyliance is a natural skin tightener which offers a cosmetic lifting effect with fast and visible results. With a lightweight, fast-acting formulation, it works to reinforce the skin barrier to reduce dark circles and eye puffiness, as well as fight the signs of premature aging and improve skin radiance. The addition of New Zealand Manuka Honey provides multiple healing benefits whilst Evening Primrose Oil hydrates the skin. 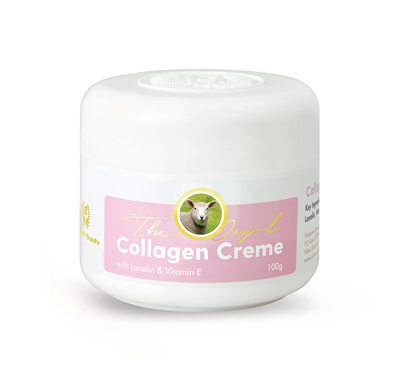 Use this as part of your daily Bee Venom beauty regime, or on its own, for a younger, more rejuvenated look. After cleansing, gently apply serum following the contours of the eye using your fingertips. Always patch test skincare products before use. Argireline is a topical chemical compound that mimics the effects of Botox. It works to inhibit the reactions that cause facial muscles to move or contract so that when you smile or frown, your facial muscles are less likely to crease along wrinkle lines. Long term application can dramatically reduce formation of wrinkles. Easyliance is a natural gum-based skin tightener, combining Acacia Senegal Gum and Hydrolyzed Rhizobian Gum, which works to retract and stretch skin, offering a cosmetic lifting effect with fast and visible results. Aqua (Water), Easyliance (Hydrolyzed Rhizobian Gum (and) Acacia Senegal Gum), Leptospermum Scoparium Mel (Manuka Honey), Hydroxyethylcellulose, Oenothera Biennis (Evening Primrose) Certified Organic Oil, Persea Gratissima (Avocado) Certified Organic Oil, Phenoxyethanol, Ethylhexylglycerin, Hydrolyzed Collagen, Acetyl Hexapeptide-8 (and) Caprylyl Glycol (Argireline), Sodium Hyaluronate, Allantoin, Bee Venom.